These are the stats you would like to see on every single equipment. For those of you that don’t have the opportunity to get those stats , try refining till you get the most useful stats out of those 5. Level 40 = Patk , Pdef , Mdef and Crit. Note: Some people prefer adding the Illusion astral (chance to dodge damage increases by x%) to their PvP spec in 3×3 arena fights. If you feel that it suites you better then go for it. 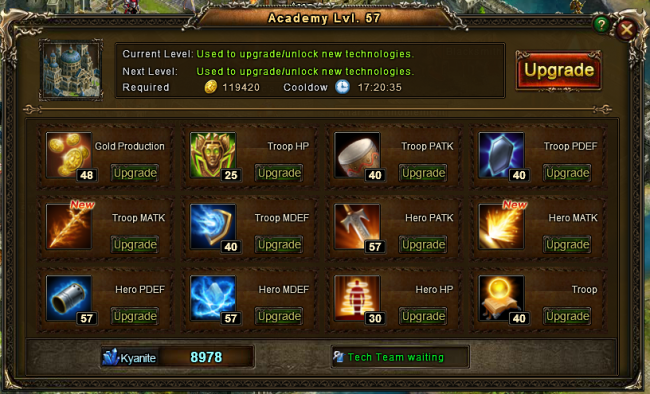 Try to upgrade the gold production to level 5 or higher as soon as you have the opportunity. 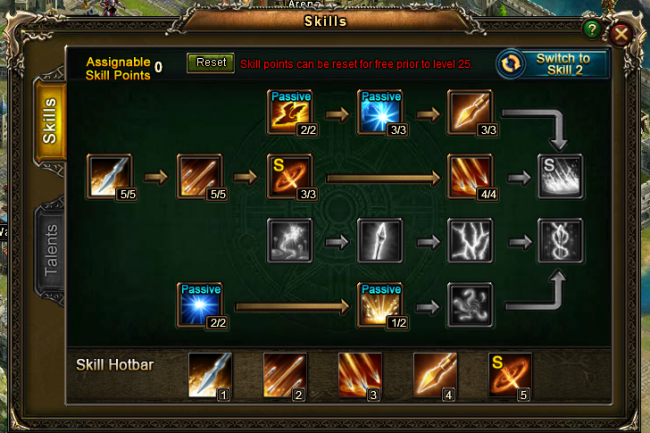 After you are done with your astrals , continue upgrading your guild skills in the same order as mentioned above. You have 2 options of gem combinations and it all depends on what is your character missing mostly. Some people may argue with me on that i am not including the Crit gem but as i said use the most needed stats. Here are the 4 gems you need on your legendary equipment. Madara here, this is great info GZ, thanks for taking the time to work it.